Robert J. 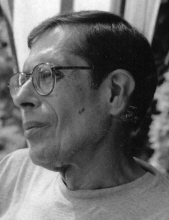 (Bob) Garcia, 76, of Hamden, CT passed away April 3, 2019 after a brief illness. Born in New York, NY on May 20, 1942, he was a son of the late Manuel and Carmen (Martinez) Garcia. Bob is survived by his wife of 53 years, Doris (Costas) Garcia; his daughter Michelle (Edward) Kissner of North Haven; his sons Mitchell Garcia of Plainfield, IL and Marc Costas (fiancée Dawn Garcia) of Ladera Ranch, CA; granddaughter Alexa Kissner; brothers Rene (Blanca) Garcia and Gilbert (Nellie) Hernandez; sister-in-law Middy Garcia; brothers-in-law Frank (Leticia) Costas and Dennis Costas; and many nieces and nephews. Bob was predeceased by two brothers. Bob was a U.S. Army Veteran, having served most of his time in South Korea and California. He was a Credit Manager in the food service industry for many years, and spent his remaining career working for over 25 years at Connecticut Shellfish Co. in Branford, CT. Bob had been a resident of Hamden for over 30 years, prior to that he resided in Willingboro, NJ. He was an honest, dedicated, hardworking family man who always enjoyed time spent with his co-workers and friends. In his leisurely time Bob was an avid reader and a TV and movie buff. He will be missed immensely by all who knew him. For those who knew Bob, he never liked being the center of attention. He was a proud, private man. Per his wishes, there will be no services. To honor his love of animals, contributions in Bob’s memory may be made to Our Companions Domestic Animal Sanctuary, P.O. Box 956, Manchester, CT 06045. Arrangements are in care of Beecher & Bennett Funeral Home, 2300 Whitney Ave., Hamden, CT.
To send flowers or a remembrance gift to the family of Robert J. Garcia, please visit our Tribute Store. "Email Address" would like to share the life celebration of Robert J. Garcia. Click on the "link" to go to share a favorite memory or leave a condolence message for the family.